The Grantmaking Pyramid is developed by Bridgespan to break the stereotypes of funders and grantees about building an organization. The bottom of the pyramid indicates that the adequate amount of fund should cover the cost of core functions which is the overhead costs of the organizations. The middle of the pyramid is the buffer of organizations to maintain their financial health in case of any predictable and unpredictable issues. 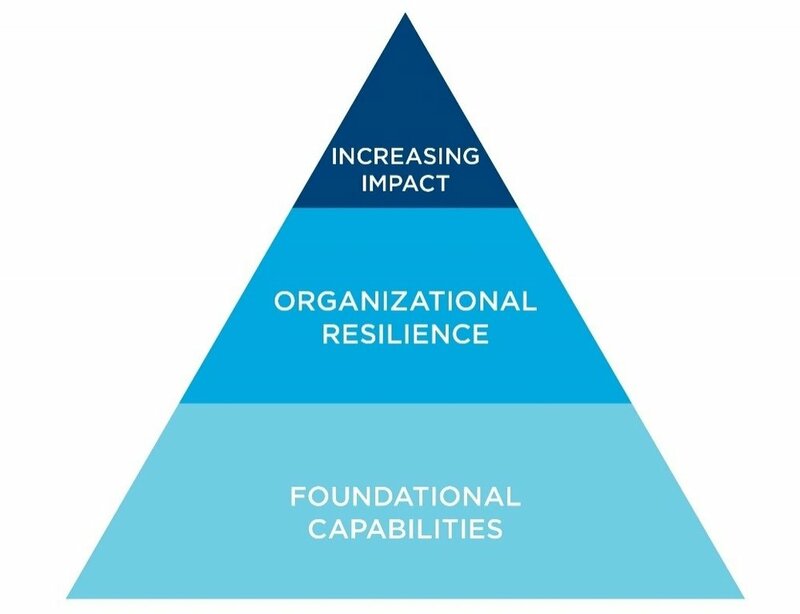 At top of the pyramid, it represents the influential impact created by programs of organizations, where the funders and grantees mainly focus on.